Home / milking pump and machine / Milking Industry Is Developing These Days! Milking Industry Is Developing These Days! Milking industry has now grown up vastly with the amount of various different companies coming up that cattle milk and Milk products. 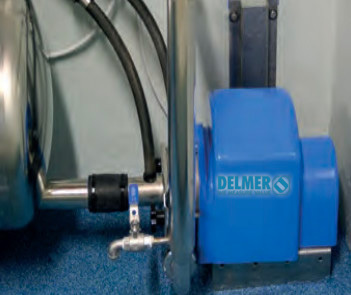 Dermer India is one such that you can trust when it comes to having some really good quality milking machine manufacturers that they are their machines are trusted by many companies in India who are into manufacturing and production of milk. why it is essential that the milk has to be of high quality and equality check always needs to be conducted before selling the milk it is also very important that the production of milk is done in a machine that was completely safe and help in high production off the milk easily which enables the company to go to a quality check of the milk n provide high quality Milk products to the people of the country. It is therefore important to buy your equipments from cow milking machine manufacturers who are in the industry for many years and who are dealing with new updated versions of the milking machines that can enable us to produce more high quality milk. When we say the production of milk is important it is not only milk that we are talking about milk also includes the production of milk products right from chocolates to different types of yogurts, khoya, paneer and various type of cheese that are produced by this milk manufacturing companies that are very important part of daily diet of Indians. the cow should not be heard as well and that is the reason that you should always have a good milking pump manufacturers who can provide you something that will not be harmful for the animal also. After all you cannot harm animal and drink the milk and still be safe, it is very important that the production of milk is done the best possible way to help in dealing with manufacturing of milk and supplying the amount of milk that is in demand to the country.